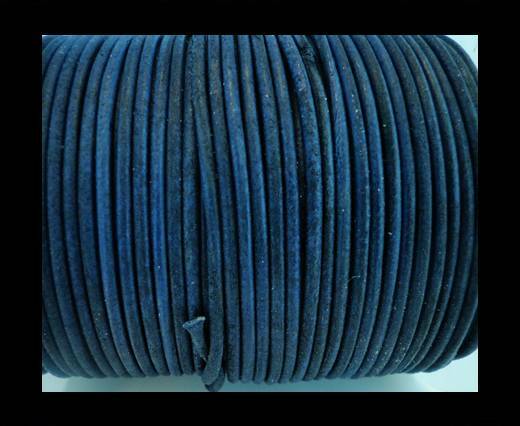 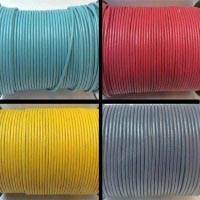 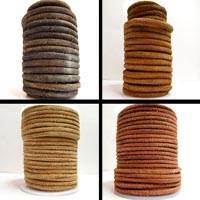 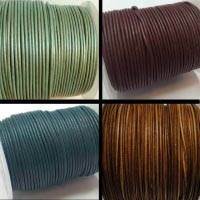 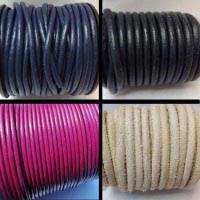 Explore our high quality Round Leather Cords at wholesale prices available in different colors, quality and sizes. 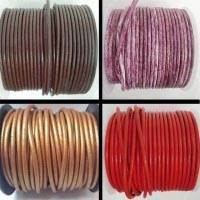 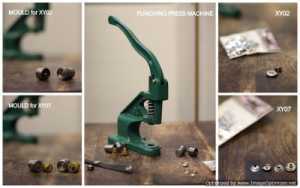 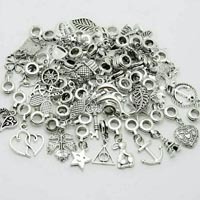 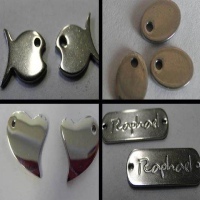 We offer round leather cords for jewelry in different diameters to suit each customer’s peculiar request and taste. 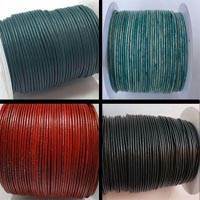 Our assortment gives you the opportunity to choose from multiple shades of colors, ranging from the primary colours such as Blue (Bermuda Blue, Turquoise, Ocean), Red (Fuchsia, Pastel Pink, Purple), Green (Bottle Green, Apple Green, Pistachio), Brown (Coffee, Hazelnut, Chocolate) and Yellow (Orange, Beige, Cream). 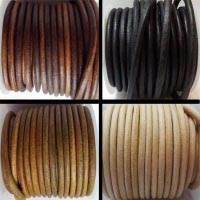 Our brown and black leather cords have great demand in the market. 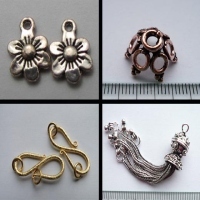 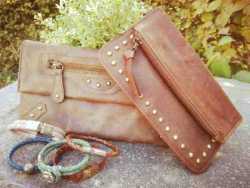 Additionally you will find a variety of vintage colors in our collection as well. 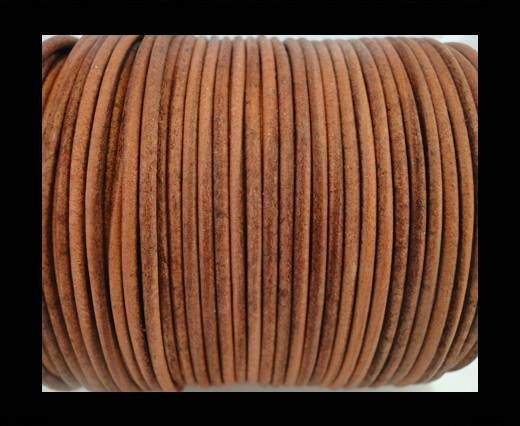 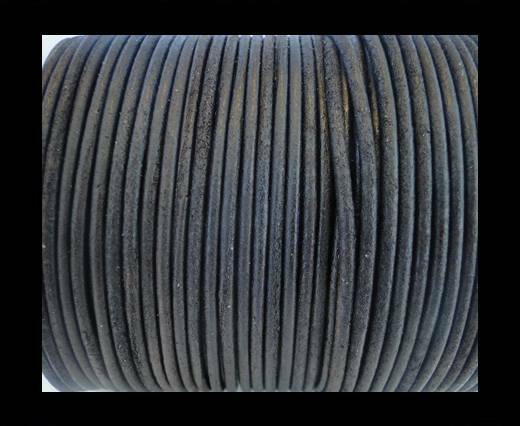 Our round leather cord is available in the following sizes: 1mm, 1.5mm, 2mm, 2.5mm, 3mm, 4mm, 5mm, 6mm and 8mm. 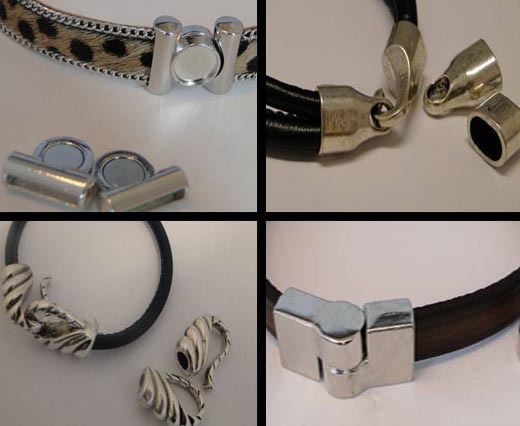 Our products are made from genuine leather, in order to provide our customers with the maximum level of softness and the highest quality of the product. 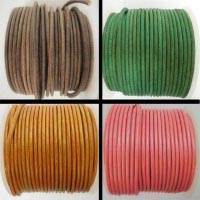 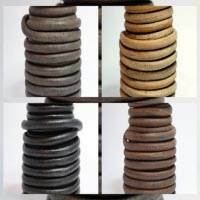 Furthermore, we work towards making sure that our round leather cords are durable and there is no fading of colors. 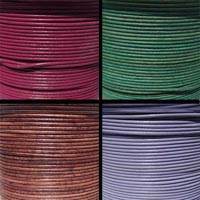 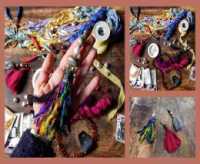 Our Round Leather Cords can be perfectly used as stringing materials for braiding, beading, making bags and fashion accessories and for creating elegant and exclusive necklaces and bracelets.